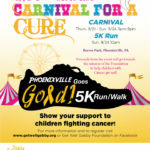 The 5th Annual Carnival for a Cure! Come out for this fun family event and help us raise funds for Childhood Cancer! Reeves Park Phoenixville, PA between 2nd & 3rd Street and Main Street in Phoenixville Borough. Rides, Games, Food, Vendors & Entertainment the whole weekend long. 6:00pm The Fabulous Taco Brothers. Come shop the vendors, purchase raffle tickets for some amazing prizes, and join in the fun all for a great cause. 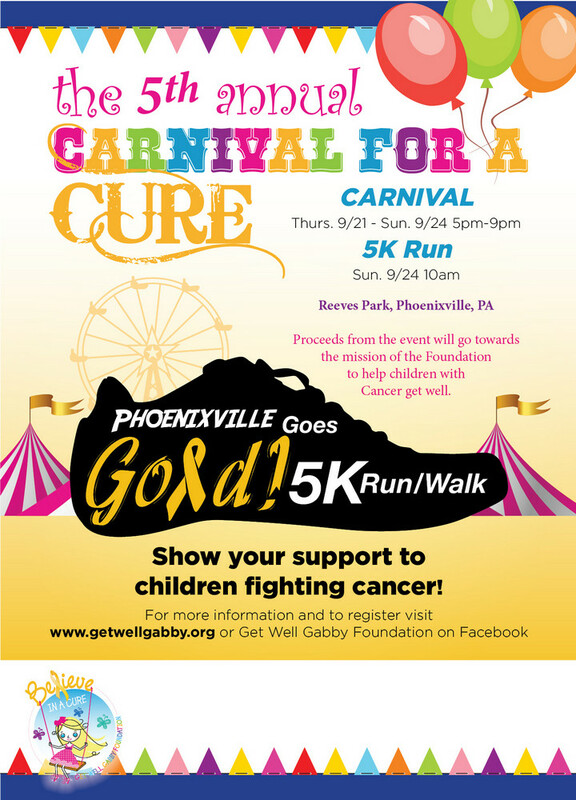 Please contact us at Info@getwellgabby.org if you are interested in being a vendor at our event. We can send you more information!